Are you ready to challenge yourself during the holidays? 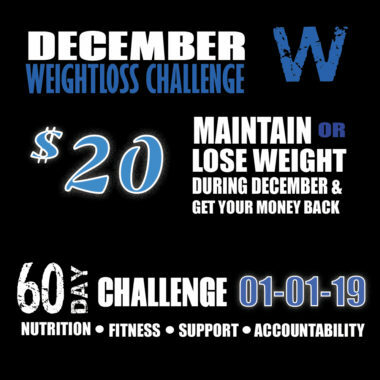 Throw $20 into our weight loss challenge and grind to either maintain or lose weight during the month of December to get your money back. If you gain weight… the money goes into the pot for our NEW YEAR 60DAY CHALLENGE grand prize winner. Hold yourself accountable this Holiday so you don’t have to fight the extra pounds in 2019. LET’S DO THIS!